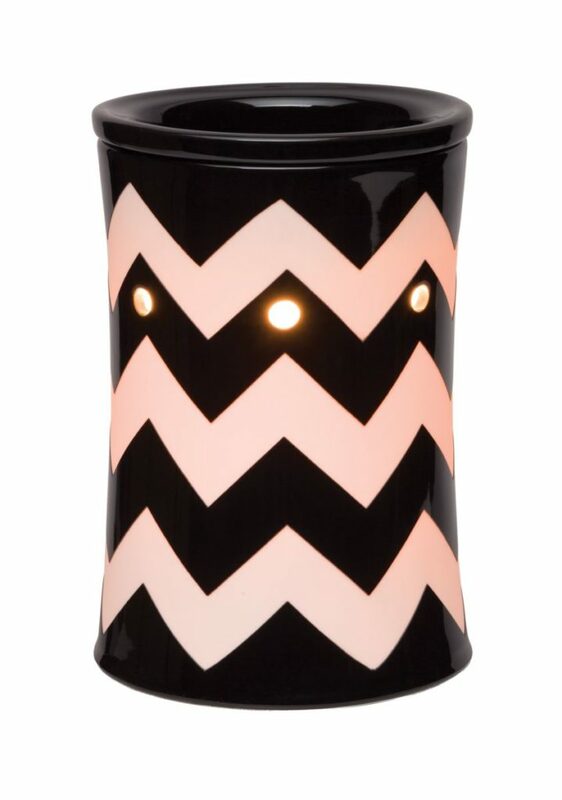 Modern yet classic, Chevron Scentsy Warmers feature crisp white zigzags cutting across a bright background of cheerful orange, dusky blue, or graphic black. 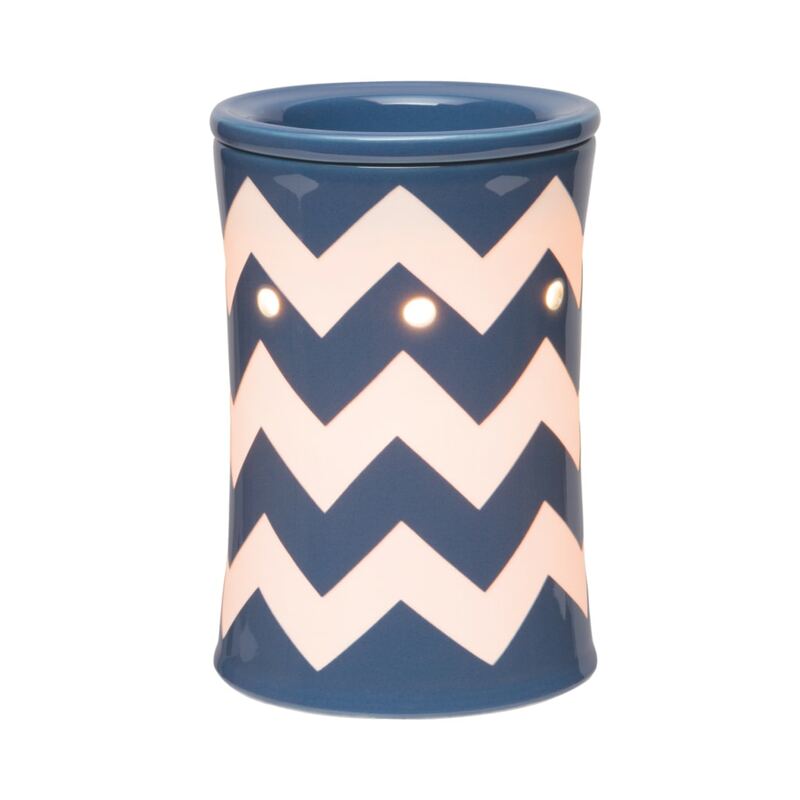 The white zigzag pattern glows when the warmer is lit. 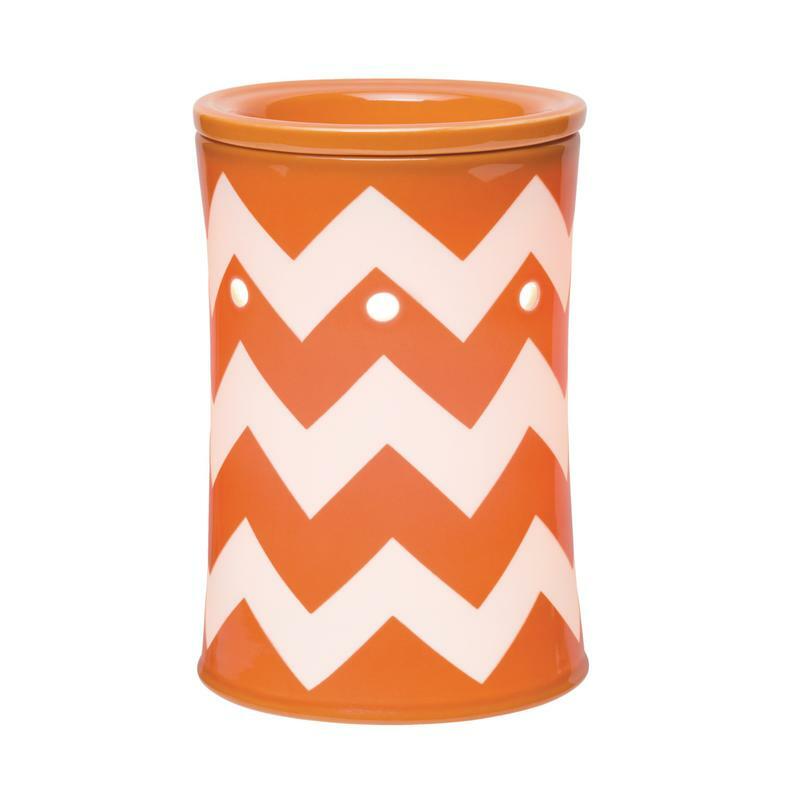 The perfect addition to brighten up any room and accent your chevron decor.